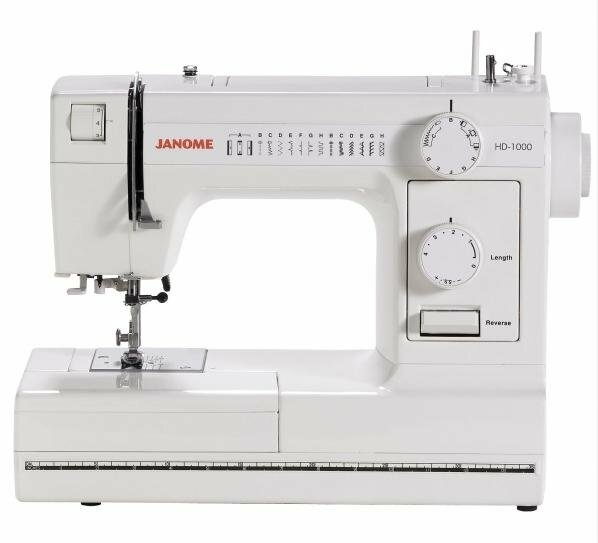 The HD-1000 by Janome provides super sturdy construction and easy to use features for a dependable and enjoyable sewing experience; heavy aluminum body construction makes this machine a great choice for the sewist looking to tackle a wide range of fabrics and sewing types. Fourteen stitches and a four-step buttonhole provide stitches for a range of applications. You’ll even find extras like a built-in needle threader and storage tray.